A Detailed explanation of Home Gym Exercises. A pair of Dumbbells or a total Home Gym I will show you how to have a Total Body Workout at Home Lifting Weights. Training at Home can be real fun if you have your own Home Gym. When I say Home gym it can be as simple as a Pair of Dumbbells and a Bench or a Complete Home Gym Machine. Either way its very possible to have a complete Body workout at Home. Many bodybuilders boast about their Home Gyms. Joe Weider and Lou Ferrigno are just two of them. Others use Home Gym equipment as a supplement to their Gym workouts. Regardless of what people say its very much possible to have Total body workouts at Home provided you train with high intensity. A Home Gym can range from a simple pair of Adjustable Dumbbells and Bench for Bench Press to a total Home Gym with Lat Pull downs, Chin Up bars, Bench Press/Shoulder Press, Leg Press and even Hamstring Curls. If all you have is a pair of Dumbbells then do not worry. 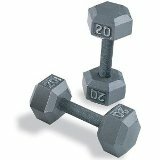 Just check the Dumbbell Exercises and Workouts Section to learn the best Exercises. Decide exactly when you want to workout. Exercise is a habit and the earlier in the day you do it the better as you will have no think about it all day long. But one of the reason you chose to get a Home Gym may be due to the fact that you are too busy and want to exercise whenever you can. Maybe its evening or night. It doesn't matter. Try exercising at the same time everyday just to help your body recuperate. Are you going to have a total Body workout or a specific one targeting just shoulders, chest or Legs? More of Free Weights or Machines? 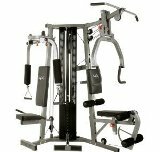 Individual machines or a single machine which allows you to do many exercises? Cardiovascular Exercises or just Weight Training? Once you have decided these factors its time to learn the best exercises. Do not start a Weight Lifting Plan without these Basic Mass Builders. Perform 3-4 sets per exercises keeping them in a range of 7-10 reps.
2 Minutes. This will allow your body adequate time to flush the toxins generated and let fresh blood flow in.